Supercharge your internet connection speed! 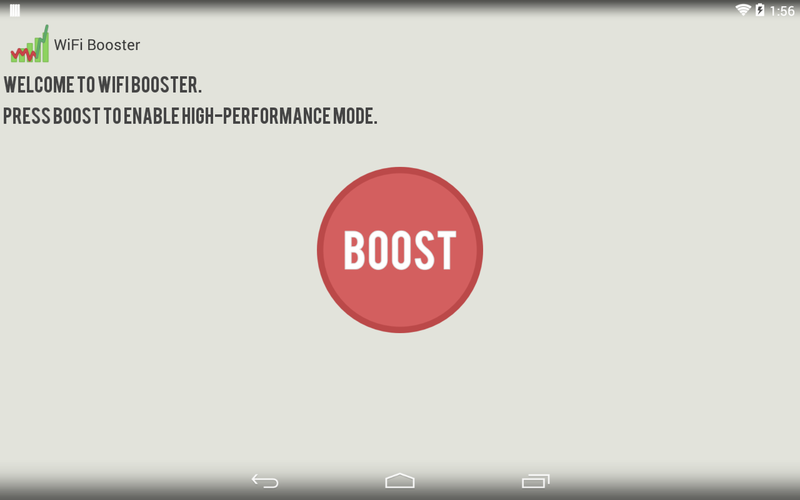 WiFi booster is a handy free utility that automatically sets your Android wireless radio into high performance mode, which can increase the speed and range of your wireless internet connection! Works on wifi connections only, does not have an effect on 3G or 4G data signals. Using WiFi Booster can cause your battery to drain faster than normal, so please be sure to only use it when you have a charger nearby. May not work on all models of WIFI radio. Leave comments and suggestions on how to make the app better!